A three-stone princess-cut white sapphire engagement ring set with 3 genuine white sapphire gemstones in your choice of 14k or 18k white gold or platinum. 14K and 18K white gold ships within 7-10 business days (please allow up to 12-14 business days for platinum). The center white sapphire princess-cut gemstone measures 5mm in size (or the equivalent of a 0.75 carat diamond) and the two side stones measures 4.5mm in size (eq. of 1/2 carat diamond each) for a total of 1.75 carat eq. 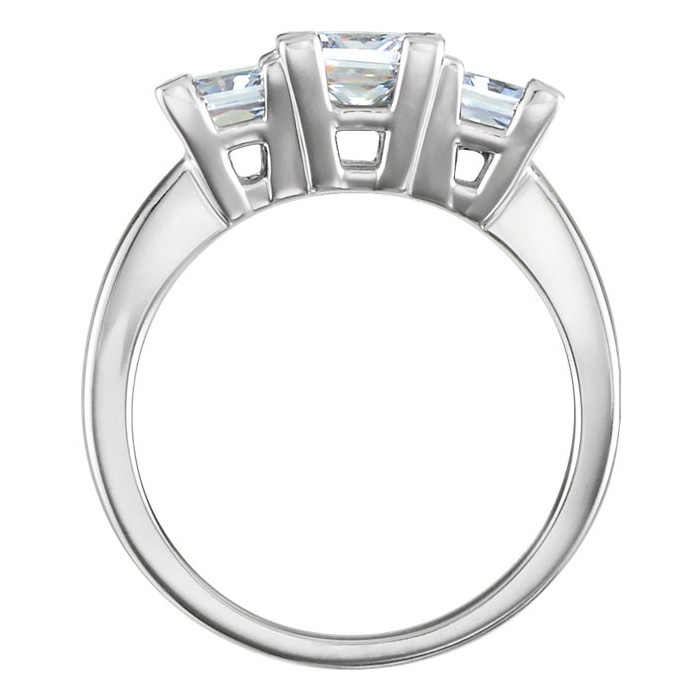 The white sapphire gems are rated "AA" for quality. The ring's band measures 2mm wide and the setting top height is 6.4mm tall. 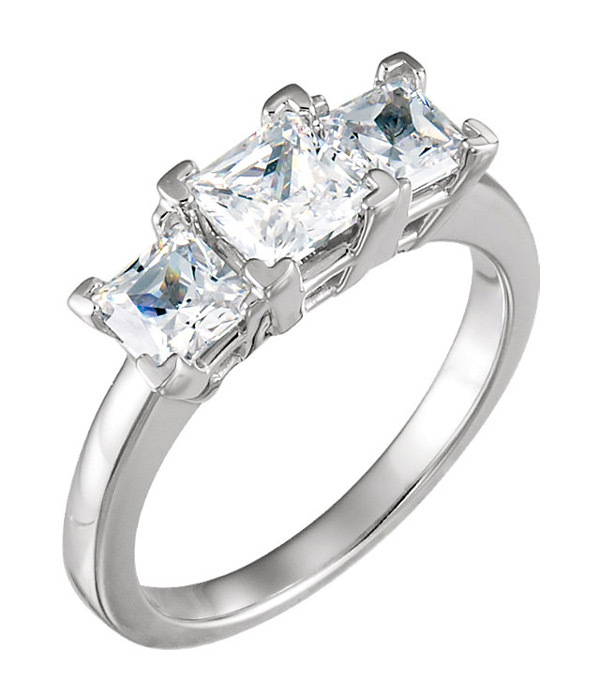 We guarantee our 1 3/4 Carat Three-Stone Princess Cut White Sapphire Engagement Ring to be high quality, authentic jewelry, as described above.